So I may or may not have had a few pool noodles lying around since summer. (Remember that DIY Kids Car Wash?) 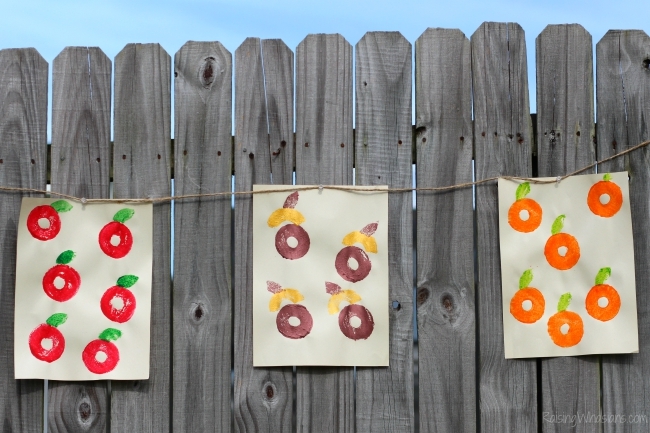 In case you may have a few leftover noodles from water fun this summer, upcycle them into these easy fall inspired kids crafts! 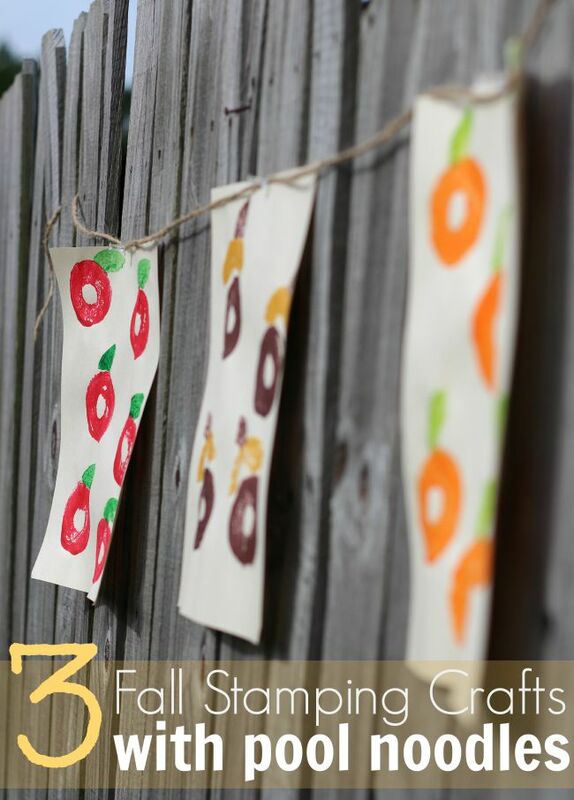 Let’s get crafty with your children this season and enjoy these 3 Fall Stamping Crafts with Pool Noodles! 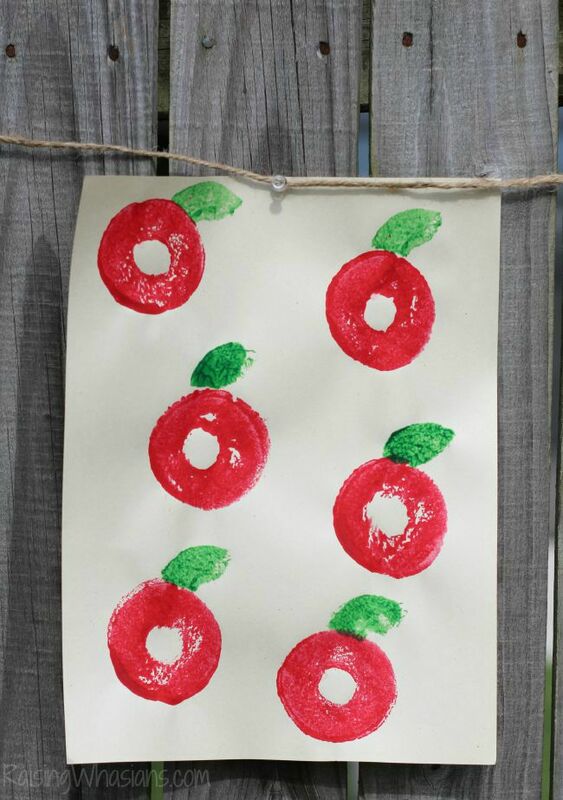 This easy fall stamping activity for toddlers and kids are perfect for getting crafty and creative for fall! Just a few supplies and a little imagination make this stamping activity perfect to get your kids ready for an amazing fall season! The directions are pretty similar for each craft. Dip the circle part of the noodle into paint. Stamp onto paper. The imagination for these stamping crafts are endless! 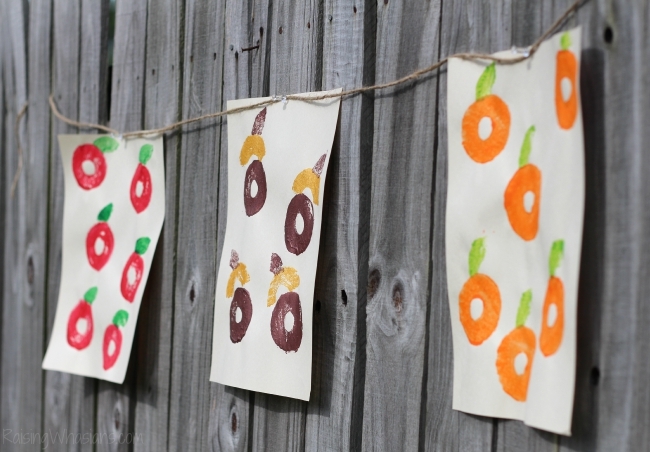 But here’s a few fall inspired stamp crafts to get you started! Dip the circle of the noodle into red paint and stamp the circle onto your paper. Cut a small arc out of a pool noodle circle. Dip and stamp into green paint for your green leaves. 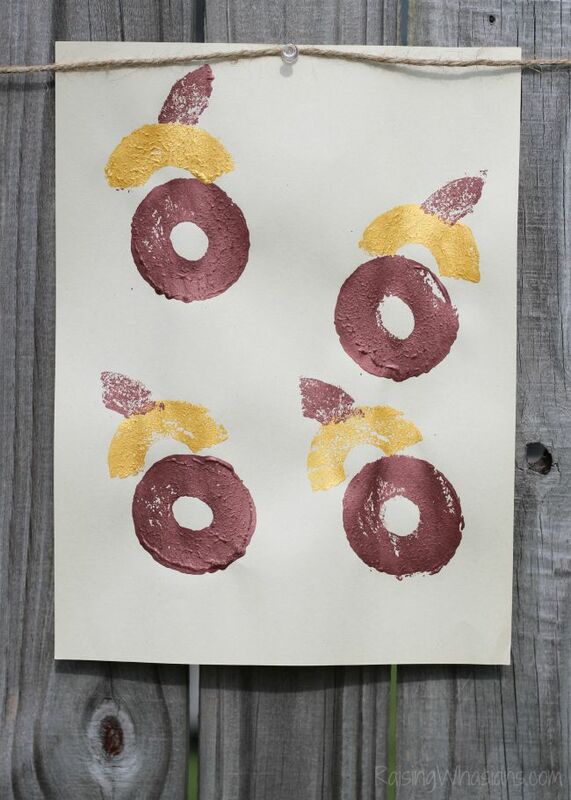 Dip the circle of the noodle into brown paint and stamp the circle onto your paper. Cut a small semi-circle and dip into yellow (or gold) paint. Stamp the yellow right above the top of your circle. Then using a smaller arc, dip that back into the brown paint and stamp for your stem. 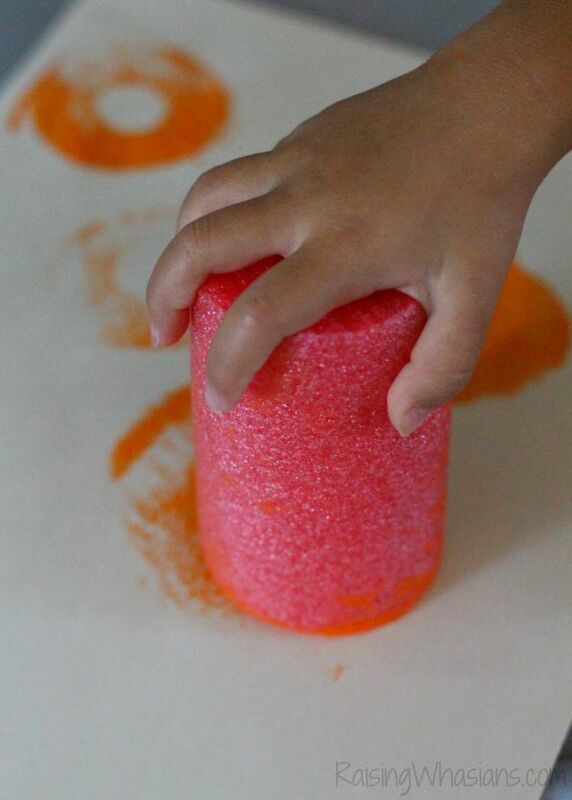 Dip the circle of the noodle into orange paint and stamp the circle onto your paper. Cut a small arc out of a pool noodle circle. Dip and stamp into green paint for your stem. 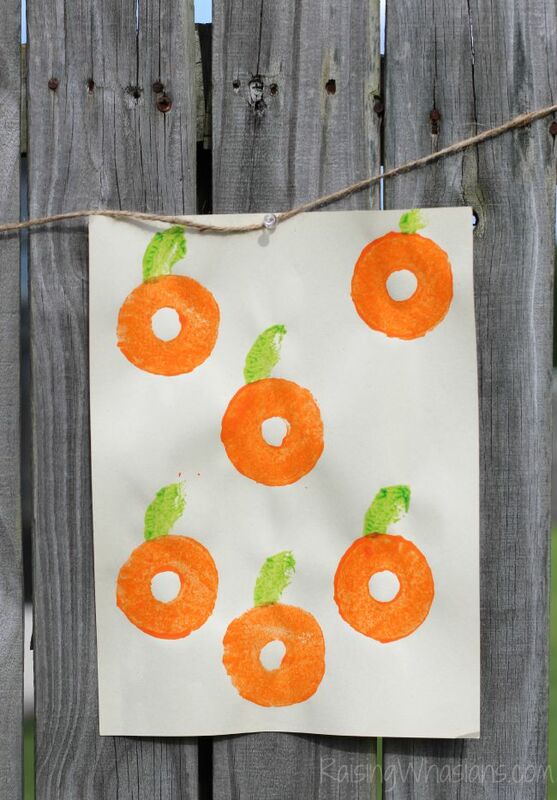 Need some more fun fall craft ideas for the kiddos? Check out some of my most popular for the season! How would you upcycle your pool noodles this fall? May contain affiliate links. By clicking, you are supporting this site. Be sure to follow Raising Whasians via Facebook, Twitter, Google, Instagram, Pinterest and YouTube for more easy craft inspiration, family recipes, travel and more! What fun ideas. I think I am going to try some of these with my kids. What a cute and creative idea. Now I have something to do with pool noodles in the storage unit. These are so perfect for me and the kids! They love to do crafts with me, especially when it involves stamping or painting of any sort. Thanks! These are so adorable! I’m going to share this with my daughters teacher for a craft for her classroom! This look a fun project I could do with my kids and their friends on the weekend. Thank you so much for sharing these ideas. This looks like a fun little craft. You could make wrapping paper! What a cute project! I love summer best of all, but seeing fun projects like this will make the transition easier. Those are just darling. I like projects like this that don’t require a ton of prep work or clean-up. I’d rather get going on the fun! Oh this is such a clever little craft. I love how you guys did the acorns! Super cute fall decorations! What fun ideas! Will be fun making these crafts with the little ones. What fun ideas and love the bright colors. Will have to share this with a friend who is a preschool teacher. These look so fun! What a fun way to use pool noodles. Looks like a blast to do this!! Never thought of using pool noodles like this. These are such fun crafts! I love how you upcycled the pool noodles. What a brilliant and fun idea. 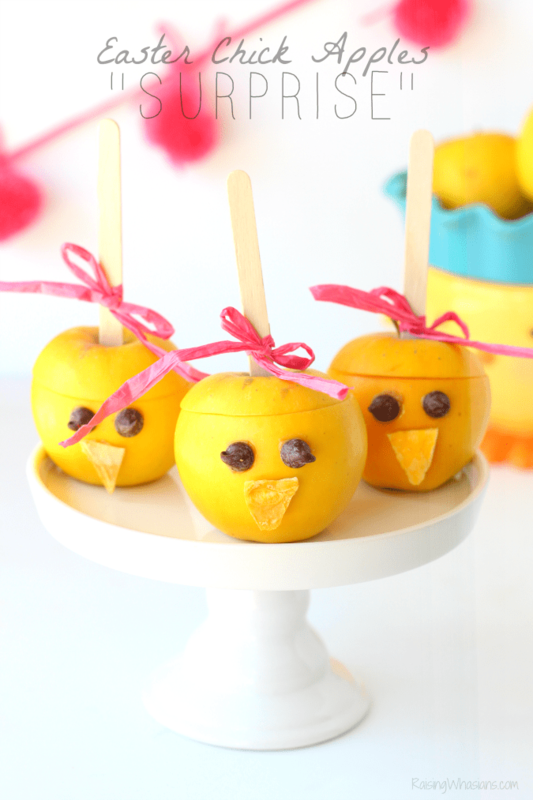 I love the pumpkins they are seriously adorable and I know my kiddos would love to do this! I love this pool noodle painting idea, how fun and easy!! I bookmarked this and will definitely be trying these crafts out wuth my daughter! This is such a fantastic project to do with the kids. I will have to try this with my friends girls the next time they com,e over. This is a fantastic idea, So cute and fun. 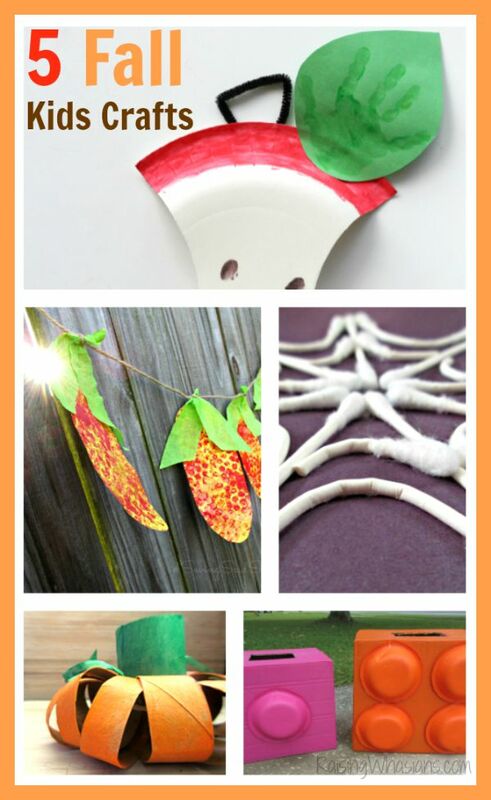 These are all great craft ideas, I’d like to try the Toilet Paper Roll Pumpkins. I don’t have any pool noodles so I don’t need to upcycle this fall. This is a nice hands on project for fall. Acorns was a nice choice. This is so cool! I will definitely try these out with my kids. What a cute craft. I’ll share with my daughter for the grandchildren.